I'm delighted to announce the publication of Dark Secret. This is my latest novel (number fourteen, if anyone is counting)—and an epic adventure with the very survival of humanity at stake. 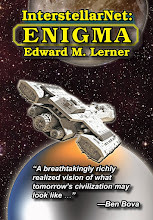 When the experimental ship Clermont is urgently recalled from a long-range test flight, neither Dana McElwain nor Blake Westford, its captain and crew, imagines that they are about to embark on a much more urgent voyage—or that this new mission will determine the fate of the human race. 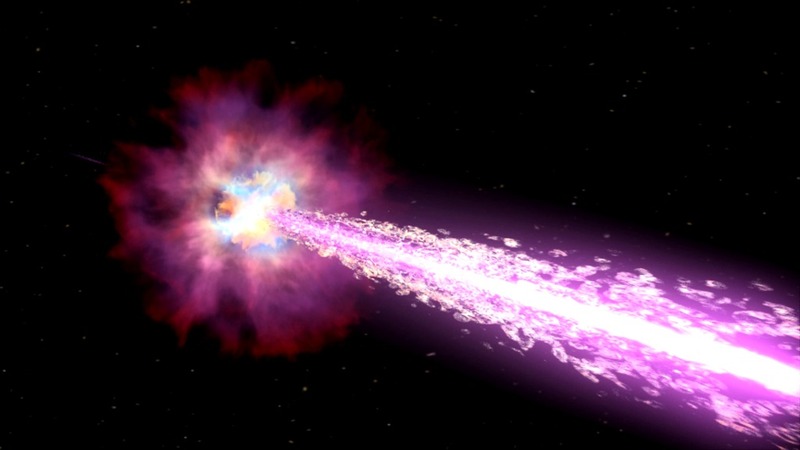 A gamma-ray burst—the deadly beam of radiation spawned seven thousand years earlier in the death throes of doomed neutron stars—is about to wipe the Solar System clean of all life. Only the Clermont’s prototype long-range drive might carry anyone, and any of humanity’s legacy, to safety before that extinction. And then what? Where beyond the Solar System is safe? What if the price of survival is to become less ... human? 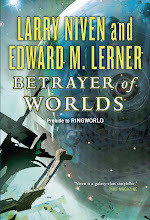 "Gamma-ray bursters are a real, frightful danger, and Edward M. Lerner captures the awful truth of this in a quick, startling story that—I warn you!—will be hard to put down." "Dark Secret is a unique tale of catastrophe and survival on multiple levels, gripping and harrowing yet ultimately inspiring. Lerner shows what it might really be like to be forced from an out-of-control frying pan into a far worse fire, and how humanity might endure even if what the refugees bring with them is worse than what they find." 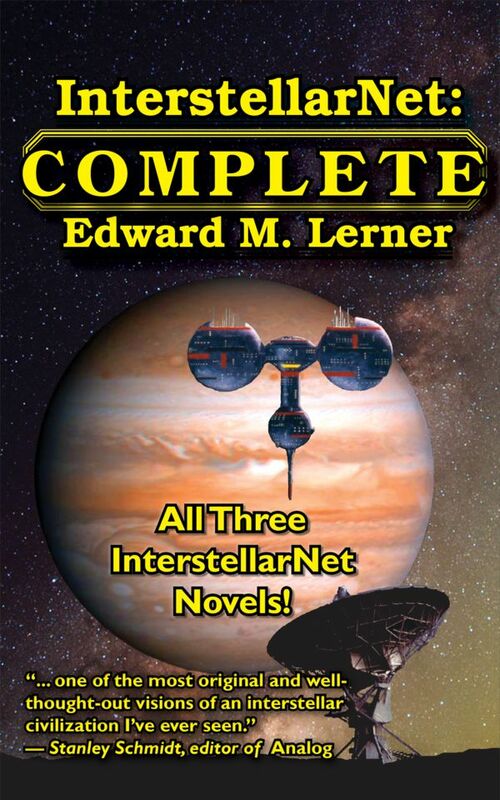 "Leave it to Edward M. Lerner to take a notion, run with it, squeeze every ramification out of it, and put it altogether in an irresistible page-turner. 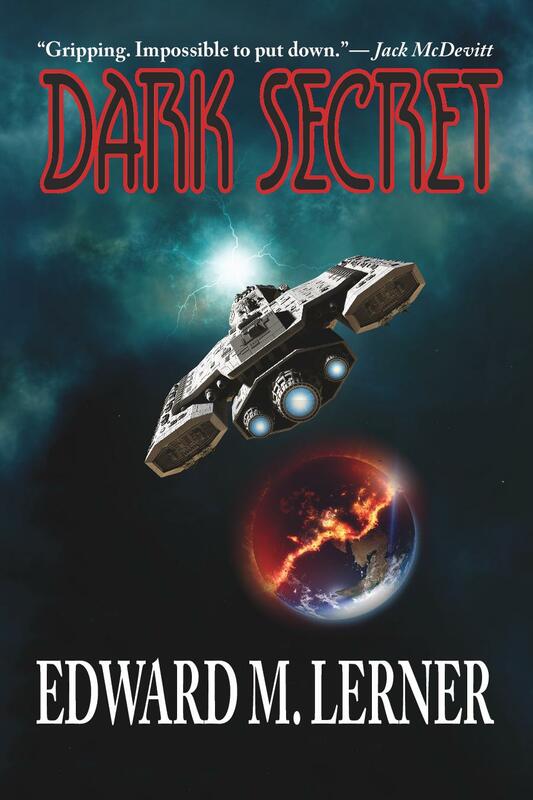 Dark Secret is a crackerjack novel—hard science fiction at its best." "With Dark Secret Lerner has crafted a compelling tale of survival of the human race following the cataclysmic destruction of Earth. The story turns on the conflicts of personality, politics, conflicting theories of governance, and the nurture/nature conundrum and ends with an amazing and satisfying conclusion. "Lerner handles his tale of power and relationships, friendship and loss, with sensitivity, bringing each principal character and their motivations to light while telling an entertaining story. A must read." Curious? Intrigued? Check out the book on Amazon, or head straight to the Kindle sample. Sir, I have just finished Dark Secret. It was a great reading. I calmed down a bit after a day of reading. The impression of the dedication of the six people of Endeaver remains strong. Even Li seriously think about her unwanted adopted children. I can not bear slavery, but surprisingly I felt familiar with the lives of children's camps. It's strange. There was no minefield in my childhood, and there were families who loved me and my friends. I respect Antonio patiently responds to the many and increasing mysteries of the Dark system. As always, your book is very painterly. A scene comes into my eyes. Endeaver, an old good ship surrounded by hordes of refueling vehicles in the plain of Mars. Marvin server that fits in a rack and flashes quietly. Human constructs carved little by little on the desolated surface. I am looking forward to the books in the future.